The Index opened positive but saw profit booking on the back of RBI Governors “No Change” policy to the lows of the day around 8587, to see the responsive buyers back in action and the index closed flat at 8660.30, small gain of 0.40 points. The broader market was positive, with 926 advances to 606 declines. Developing Range as per Option Table comes 8400-9000. Call option 8700-9000 added 7.58 lacs OI with short covering seen at 8600 and below strike prices. Put option 8900-8200 added huge 21.77 lacs OI with profit booking seen at 8100 and below strike prices. 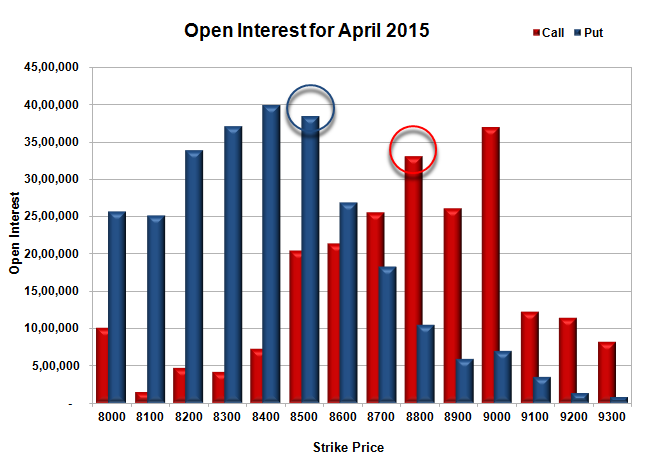 Nifty Open Interest is at 1,85,55,400 down by 47,975, with increase in price, most probably short covering. 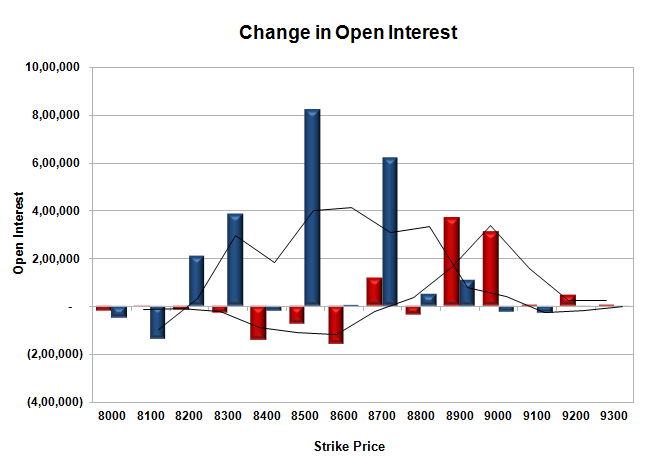 Bank Nifty Open Interest is at 18,01,975 up by 29,050, with decrease in price, most probably short build-up. FII’s sold 0.72 lacs Futures, which includes 7476 contracts long build-up and 10374 contracts short build-up, with increase in net OI by 17850 contracts (includes 55247 longs to 58145 shorts for the day) and the Average Price comes to 8843.02. FII’s Index future open contract as on date is 508141 Longs to 154408 Shorts, net long 353733 down by 2898 contracts. Initial support at 8600, with OI of 26.95 lacs and below that at 8500 with huge OI of 38.38 lacs. Initial resistance now at 8800, with OI of 33.01 lacs and above that at 9000 with OI of 36.91 lacs. 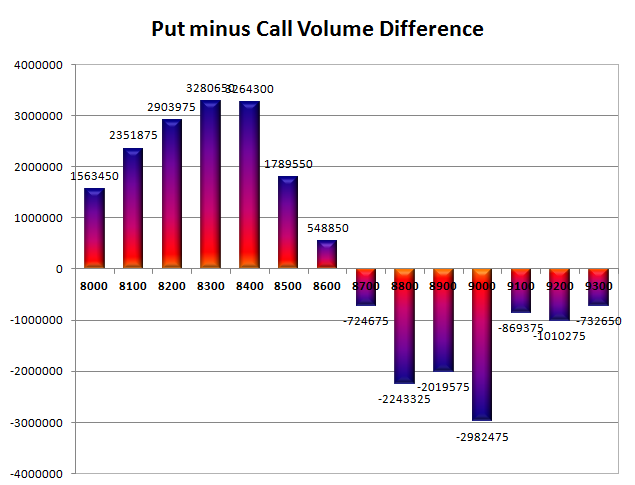 Day Range as per Option Table is 8564 - 8736 and as per VIX is 8596 - 8725 with 8647 as the Pivot.